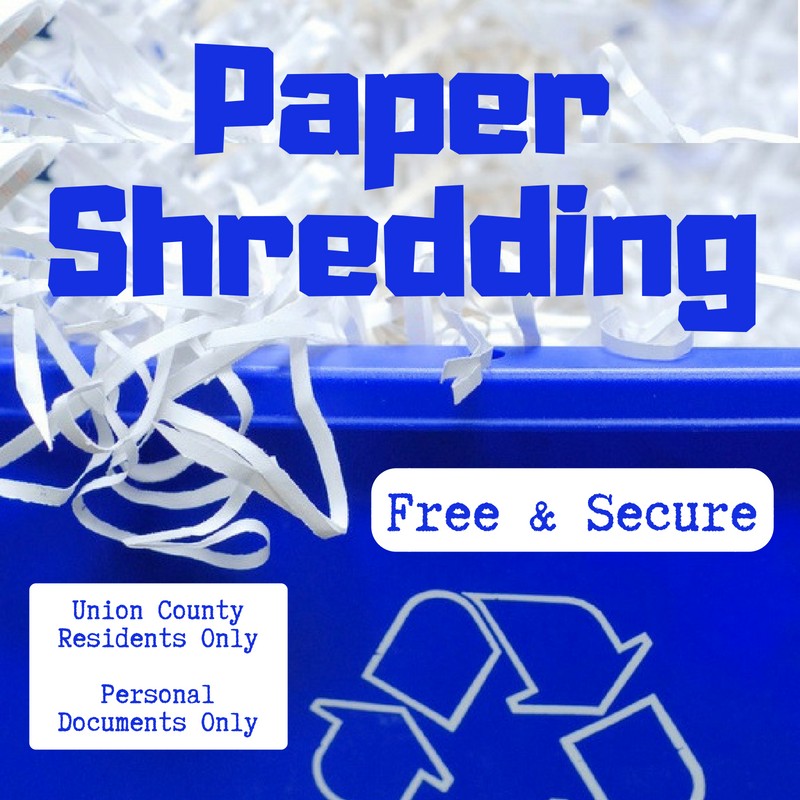 Union County, NJ –The Union County Board of Chosen Freeholders is pleased to announce two free mobile paper-shredding events for personal documents in July. “Union County’s mobile paper-shredding events help residents to protect themselves from identity theft by proving a convenient, secure way to dispose of sensitive or confidential documents,” said Freeholder Chairman Sergio Granados. The first shredding event will take place on Thursday, July 12 at Rahway River Park on St. Georges Avenue in Rahway. The second shredding event takes place on Saturday, July 21 at the Old Bristol Myers Facility, located at 1350 Liberty Avenue in Hillside. Both events run from 9:00 a.m. to approximately 1:00 p.m., rain or shine. The events will end before 1:00 p.m. if the shredding trucks reach capacity. All Union County residents can use the paper-shredding service. In an effort to accommodate everyone, there is a limit of four, 10-pound bags or boxes per person. It is preferred that residents bring their documents in paper bags. Documents should not be bound. Plastic binders and paper clips should be removed. Paper that is wet or damp will not be accepted. Residents should continue to recycle non-confidential papers and magazines with their municipal recycling program. Residents do not need to unload their cars at the site. Recycling workers will put the documents in containers and transfer them to a nearby shredding truck. Participants are welcome to view the shredding process via a closed-circuit television. The shredded documents are then recycled, shipped to paper mills and used as pulp. For more details and schedules for all Union County recycling programs call the Union County Recycling Hotline at 908-654-9889 or visit online at ucnj.org/recycling. Countywide recycling supports the goals of Chairman Granados’s Moving Union County Forward “Plant a Seed” initiative for engaging the public in conservation and environmental education. The Freeholder Board is also encouraging all residents to sign up for Recycle Coach, a free app that makes it easier to stay up to date about countywide recycling information and municipal recycling schedules.